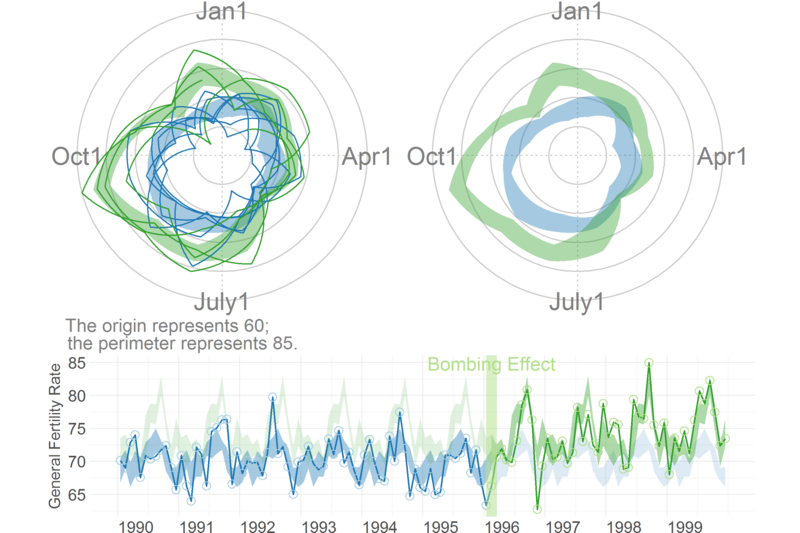 Wrap-around Time Series (WATS) plots for interrupted time series designs with seasonal patterns. This implements the approaches described in Joseph Lee Rodgers, William Howard Beasley, and Matthew Schuelke (2014). 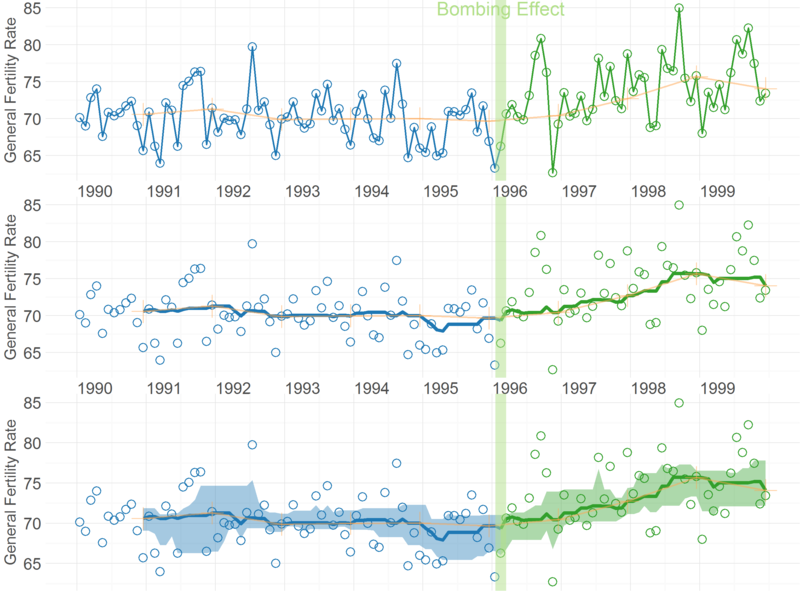 Wrap-around Time Series Plots (WATS Plots) for Interrupted Time Series Designs: Applications to Fertility Rates and the Oklahoma City Bombing. Multivariate Behavioral Research. The figures can be viewed in the vignettes, or in the Handouts document. The release version of Wats is available on CRAN. When the Wats package is installed on your local machine, the Reproduce.R script starts with our initial datasets (ie, the vital statistics birth counts and the US Census population estimates) to create the derivative datasets and resulting graphs and analysis. Datasets: CSV versions of the *.rda data.frames officially included in the package. DocumentationForDevelopers: Notes and links that should help package developers set up on their computer. Typical package users won't have a need for this. PublicationGraphs: A deprecated location that contains loose graphs of older versions of the manuscript. Playgrounds: R snippets to help developers experiment with potential new features. UtilityScripts: R scripts that aren't incorpated into the package. They help automate certain tasks, or document how parts of the package were created. The released CRAN version of Wats can be installed through R with. The latest development version of Wats can be installed from GitHub after installing the devtools package. This submission is fixes a small incompatibility with the upcoming version of ggplot2. ggplot2's more stringent checking caught a mistake; when calling ggplot2::geom_vline, Wats used the parameter x, instead of the correct xintercept. Vignette showing reanalysis with 2014 version of the data. AnnotateData() properly accepts the centerFunction parameter, and doesn't revert to median. Thanks Mark Joseph Lachowicz ([email protected]). GitHub Issue #2. CartesianRolling(), CartesianPeriodic(), and PolarPeriodic() functions. Vignette to reproduce figures in MBR manuscript. For a detailed change log, please see https://github.com/OuhscBbmc/Wats/commits/master. For a list of the major releases, please see https://github.com/OuhscBbmc/Wats/releases.